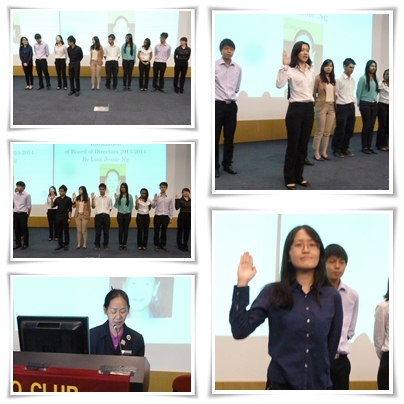 24/8/2013 saw the Orientation, Initiation and Installation Ceremony starting as early at 8.30 am to 12 noon. Vote of Thanks to RCC for Leos R7 Lion Marcus Loh and President Lion Kenneth Yeoh of DMNC for conducting the CLD Orientation & Assessment. 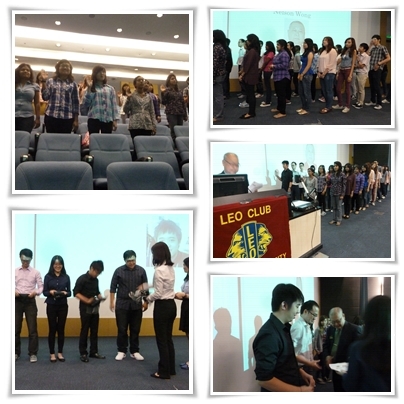 Installation to Leo Club Monash University Sunway Campus was held at Audi 1 from 1-3.30 pm attended by President Jessie, Advisor Nelson, Alt Advisor Jamie & Irene. After National Anthem, Leo Pledge and Roll Call, OC Leo Wong Zhi Wyai gave his welcoming address followed by the stepping down of 2012/2013 BOD whereby the outgoing BOD removed their Leo Vest for the incoming BOD. This was followed by Initiation of 29 new members by Leo Advisor Nelson while President Jessie installed the 2013/2014 BOD with Leo President Lim Qian Ru Lim taking the reign. After all the speeches, Appreciation Awards were presented by Past Advisor Irene to 2012/13 deserving Leos and Advisor Nelson presented the Leo Forum Awards / CLD Certificates thereafter. 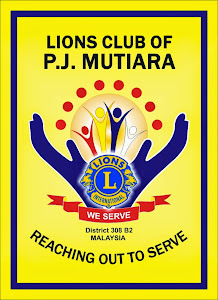 Event concluded with Leo President Lim Qian Ru presenting Appreciation Certificate to all Lions in Attendance, wrapped up with vote of thanks to all in attendance and group photography session. 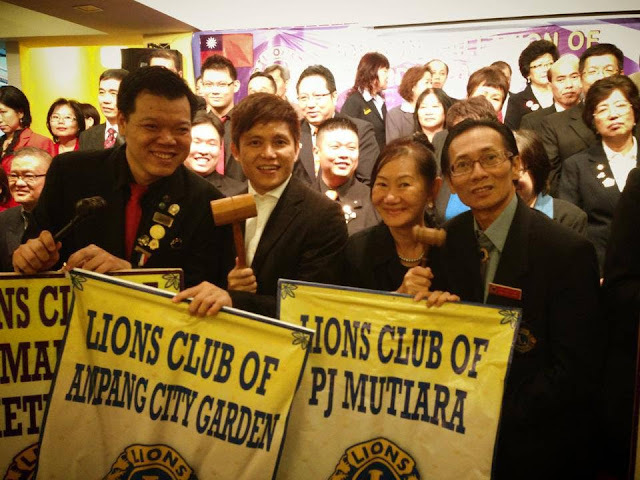 Zone 17 Presidents Lion Kenneth, Lion Kelvin, Lion Jessie & Lion Eric. PCC Patrick Chew with members.